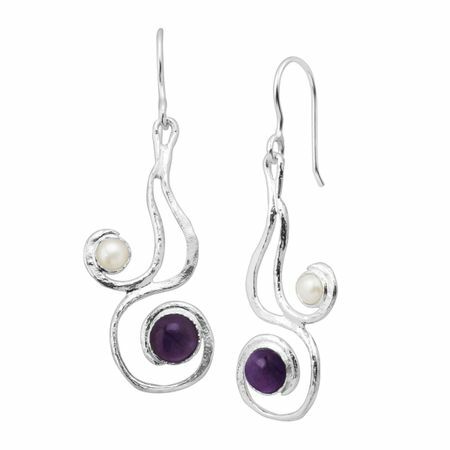 Waves of sterling silver pack a deep purple punch with natural amethysts, plus freshwater pearls bring a welcome breath of fresh air. Earrings measure 2 by 5/8 inches and feature French wire back findings. Pieces come with “.925” sterling silver quality stamps as symbols of guaranteed product quality.